The quirky name that makes me smile everytime whenever I think of NeNe Chicken. 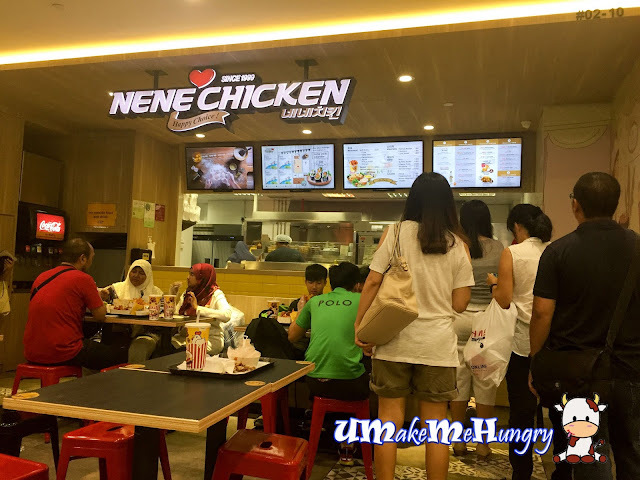 With Korean fried chicken up in the trend, NeNe Chicken is branching out into the neighbourhood retail malls and they offer a range of crispy fried chicken coated with secret recipe sauces. 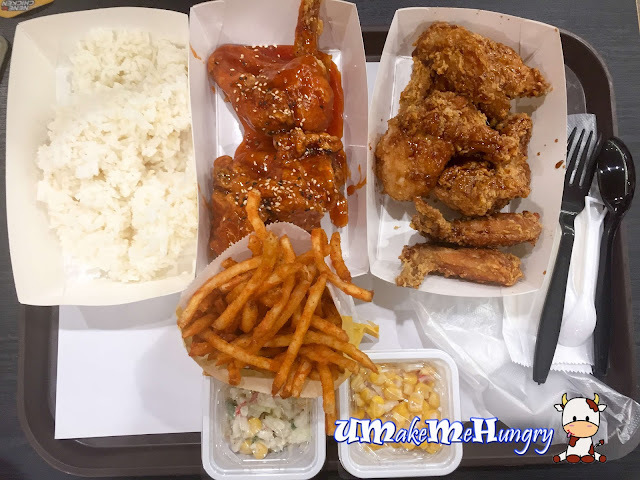 Besides the delectable chicken pieces that got my attention, the way of dining with disposable plastic gloves had also amazed me as it was not a common sight dining in the mall with gloves on. For those who is not very clear with the ordering, it can be done simply in 5 steps. 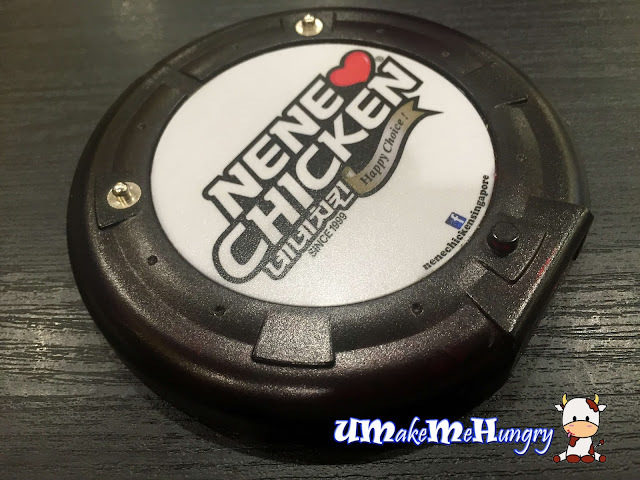 You will not get your order upon payment at the counter, instead you will be given a buzzer and collection of order to be made once this device vibrates. The queue was relatively long during the peak hours and we got ourselves the first NeNe Chicken Meal completed with 2 drinks of our choice. Chicken which were coated in not too salty-sweet soy sauce were great. At least these fried chicken were not too dry as compared to other chain fast food korean fried chicken. 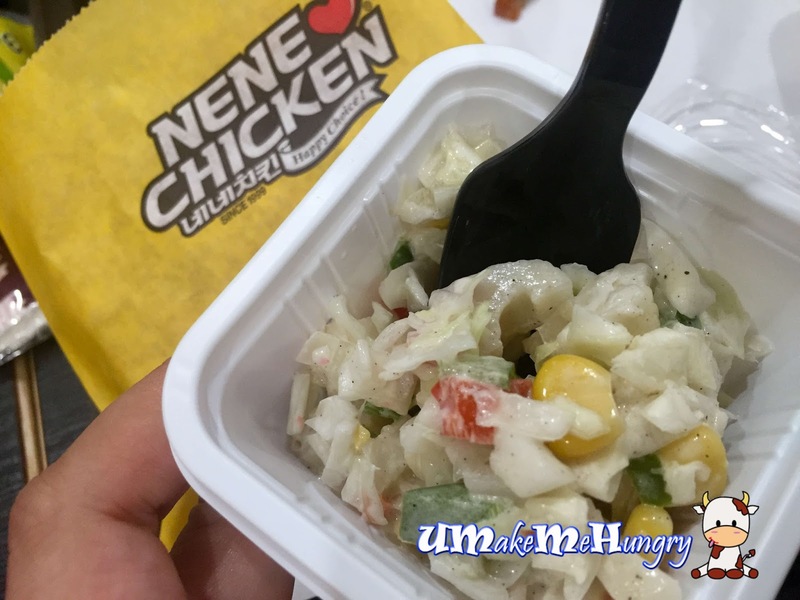 Surprisingly, Coleslaw was good and I love the part where you can start abit pf the peppery taste among with mayonnaise used sparingly on the ingredients like corns kernels, cabbages, cucumbers, carrot etc. Good and not too gelat. For those who prefer sweet corns can order this. 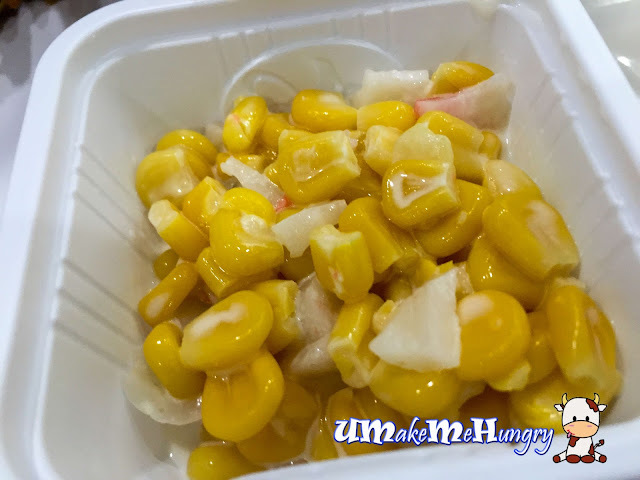 The corn kernels were perfectly tossed with crab-sticks in mayonnaise. 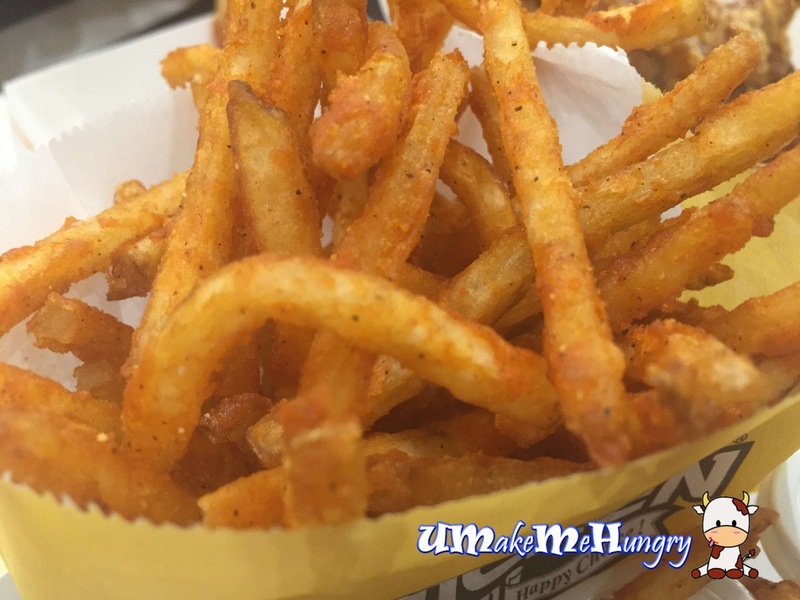 The rough texture of the fries reminded me of the twister fries in Mcdonalds and was just as tasty over here. There were straight cut instead of curling up and was firmer. Afterall, fast food are still fast food. 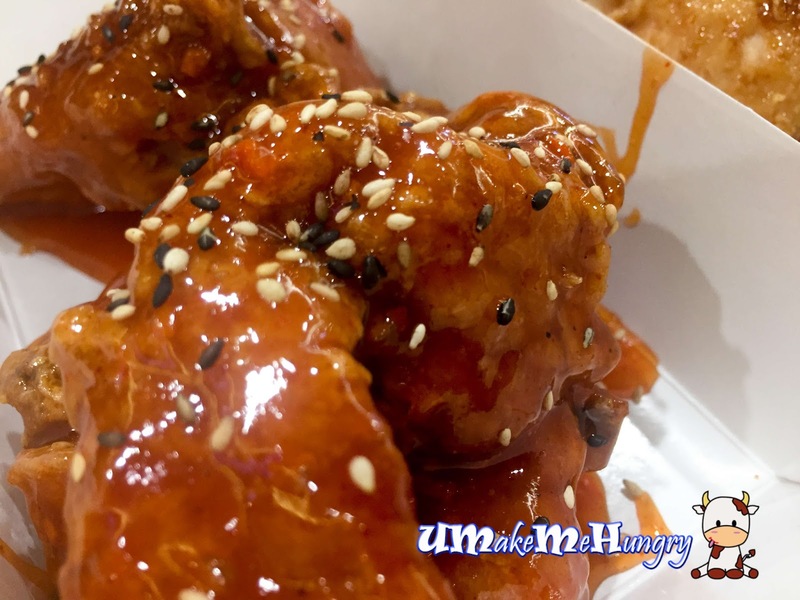 Is it a matter of novelty that these stick Korean Chickens outlets keep multiplying and later on getting too mainstream? While comparing them to 4 fingers, I will give an obvious vote to this. 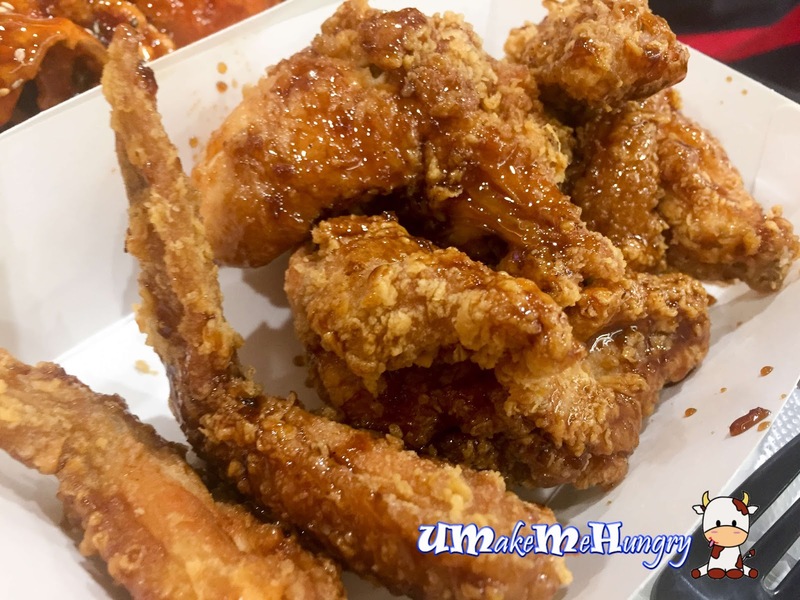 Meanwhile still holding my thought that the original fried chicken wings / drumsticks without coating any sauce is still a very good choice.